David and I took the boys and our camera to the SAM Olympic Sculpture Park. We loved it. 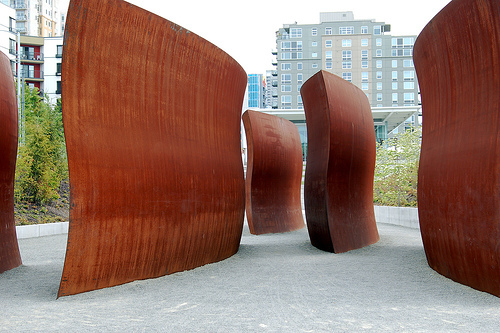 The Richard Serra installation is so gorgeous we could have stayed all day. So much art hard against the rocky shore, open to the warm air in spring’s cathedral… it was unforgettable, and we will be back often. Good men and bad men, polygamy, birth-control . . .